In May of 2014, the longest landslide in Colorado’s recorded history killed three people and nearly buried Collbran, a small agricultural community in the western part of the state. From the urban Front Range, Margaret MacKenzie placed frantic calls to her 69-year-old mother, whose ranch, she feared, was directly in the path of the rocks and debris racing downhill. Fortunately, the slide stopped four miles away from the ranch. Still, for MacKenzie, the close call made two things clear: Her elderly mother couldn’t continue to manage the 200-acre property alone. And the family’s chances of selling the land — something they’d tried to do for years — had gone from slim to none. Fran MacKenzie pauses while mowing between the crop rows for a portrait with her daughter Margaret MacKenzie. So MacKenzie moved her own family to the ranch, where bills had been piling up. The property required constant labor, from baling hay to irrigating the fields, and tax and insurance payments were coming due. MacKenzie evaluated her options for turning a profit and arrived at a relatively novel solution: growing hemp. For decades, the law had lumped the crop in with marijuana, treating it as a drug even though it contains minute levels of THC, the psychoactive chemical that gets pot smokers high. That meant that growing hemp — which harbors valuable oils, fibers that can be processed into textiles, and nutritious seeds — was a federal crime. Then, in 2014, the farm bill removed some barriers to hemp cultivation, allowing states to authorize it under certain circumstances, even though, under federal law, it remained a controlled substance. In conservative Mesa County, where Collbran is located, county commissioners recognized an opportunity. They excluded industrial hemp from an ordinance that banned marijuana cultivation and sales in the county, passed in 2013 after Coloradans voted to legalize marijuana. 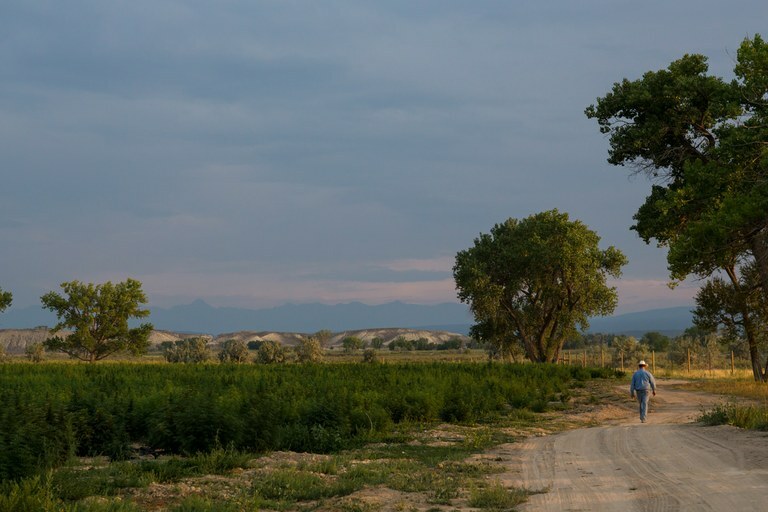 When MacKenzie planted her first crop in 2015, curious neighbors made their way up her dirt road to peer at the plants, which look exactly like marijuana. “We had more conversations on the fence line that year than work that got done in the field,” she recalled. Now, that curiosity has blossomed into a growing enthusiasm for hemp in conservative communities and political circles. Just a decade ago, such a stance was considered “political kryptonite” among politicians, according to Elisa Addlesperger, author of a 2015 article on hemp that ran in the Journal of Agriculture and Food Information; too many voters were likely to confuse support for hemp with support for marijuana. But today, with a better understanding of what the crop is — and more importantly, what it isn’t — conservative politicians from Oregon to Alaska are increasingly championing it as a potential lifeline for struggling rural communities. Colorado leads the country in hemp production, with over 25,000 acres licensed for production in 2018. (The acreage actually planted could be less.) At least 41 states have passed laws to make it easier to grow hemp, according to the National Conference of State Legislators. And Senate Majority Leader Mitch McConnell has become a booster, pushing to legalize the plant on a federal level with the 2018 farm bill, which shapes the nation's food and agricultural policy. Hemp has thus become one of the few things Democrats and Republicans can agree on. 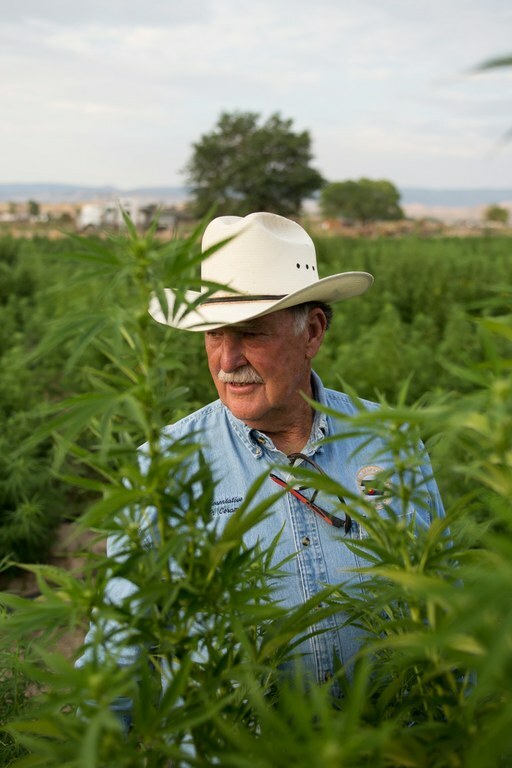 Don Coram stands for a portrait in his hemp field behind his home in Montrose, Colorado. In Colorado, state Sen. Don Coram, a Republican who represents the southwestern part of the state, started growing hemp last year in four plots in Montrose County, including the former uranium-mining town, Naturita. “I’ve always been very interested in it, because going back to my younger days in rodeo, all the ropes were made out of hemp,” Coram said. He now has 29 acres, with 1,500 plants per acre, and he’s growing it for its highly valuable Cannabidiol, commonly called CBD oil. The oil, which is found in both hemp and marijuana, is used for treating everything from seizures to arthritic pain, and its surging popularity is the reason farmers are getting into hemp. There are 19 registered growers in Montrose County, and the interest just keeps building. Nucla, a town that neighbors Naturita, is considering the possibility of converting its shuttered elementary school into a hemp-processing facility for CBD oil. And Sandy Head, executive director of the Montrose Economic Development Corporation, said her organization has been hosting information sessions for interested farmers. Head has gone even further, planting test acres. “I really felt that in order to be able to talk to the agriculture community about what it was, I should have some experience,” she said. Her husband gives her a hard time about it, joking that her father “would roll over in his grave if he knew you were growing weed.” But the times, they are a changin’. “It is just a matter of conversation,” Head said, and educating people that hemp is not a drug. Area farmers are beginning to get that message. MacKenzie, who invited curious neighbors to an open house on her farm, has become one of the Western Slope's go-to hemp experts. What started as a basic presentation in her barn in 2015 has morphed into a 500-plus person event called Hemp on the Slope, complete with a farm-to-table dinner, equipment demonstrations, educational seminars and booths extolling the benefits of hemp products. And events like it are sprouting like weeds. In nearby Paonia, Colorado — where HCN’s headquarters are located — a panel discussion in March titled, “What’s the Deal with Hemp?” took place in the local movie theater. Down the road in Hotchkiss, the Western Slope Hemp Convention packed the community arts center with interested growers. And in August, a two-day Hemp and Hops convention took place at the Montrose County Fairgrounds. MacKenzie has noticed a change in the events’ demographic. At first, it was mostly young entrepreneurial types who had moved to the Western Slope from somewhere else, and maybe dabbled in marijuana production. Now, there are more people from the local farming community, “people who had farms and were maybe growing hay or some other crop,” she said. Margaret MacKenzie, co-owner of Salt Creek Hemp Co. checks the budding process of her hemp plants being grown for CBD oil. The plants she is growing this year are much more petite than hemp plants grown for fibers. After the flood wiped through their farm, it was covered in feet of muck and debris. Margaret found this plastic bull head in the wreckage and it has held a place of honor since. Salt Creek Hemp Co. Co-Founder Aaron Rydell readies fish emulsion from the Great Lakes to add to irrigation water as a fertilizer. With Grand Mesa National Forest in the background, Salt Creek Hemp Co.'s single field is irrigated. Hemp fans often tout the crop as a miracle plant. At the NoCo Hemp Expo in Loveland, Colorado, in April, speakers pumped up the crowd with talk of hemp-based plastic, clothing, concrete, houses and animal feed, among another 25,000 possible uses. But it could be years before any of these products are commercially viable in the U.S. There are still significant legal barriers, for one. At the federal level, hemp remains classified as a Schedule 1 controlled substance, alongside drugs like heroin. That means that banks can’t loan money to hemp-based businesses or hold money earned from growing or selling hemp products. Farmers also can’t get crop insurance from the U.S. Department of Agriculture to cover potential losses to drought or disease. And so hemp farmers are taking on unusually high levels of risk, Head said. 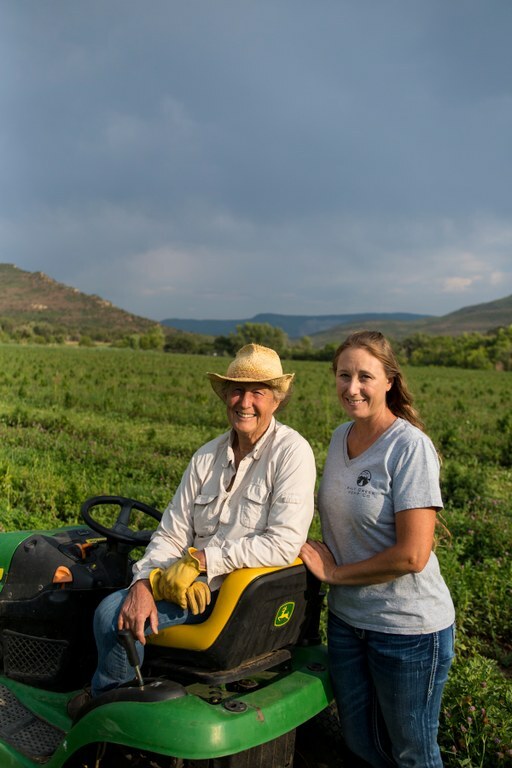 Farmers often ask her: “If the government is not going to touch it and the bank is not going to touch it, (then) why should I go there?” In some cases, the federal Bureau of Reclamation gets involved, denying farmers water to irrigate hemp fields. Until then, there's little incentive to invest in highly specialized harvesting machines or the facilities that transform the plant’s versatile fibers into products like textiles. “The amount of processing that is required to go from the plant to a T-shirt is huge, and we don’t have very much of that infrastructure in the country at all,” Paiss said. Nevertheless, the potential is clear to people like Head. “It is going to offer a high-return crop for some of the ag people,” she said, as well as new business opportunities for non-farmers. In Montrose County, there are already start-up companies making CBD lotions and tinctures. “It’s a whole new industry, not just of growing but the consuming of the product and the goods and services,” Head said. Montrose County received a grant this year from the state, and is partnering with the Montrose Economic Development Corporation to do a feasibility study to grow hemp seed as a livestock grain. And a CBD-oil processing company recently purchased the old Louisiana-Pacific building, which once housed a timber mill. The San Juan Mountains loom through a haze of wildfire smoke during sunset at one of Coram's hemp fields.